Explore Auckland the ‘City of Sails’ before venturing south to Waitomo and the world famous glow worm caves. Rotorua and its Maori culture and adventure activities are next before spending a night at the rural retreat of Tarata Fishaway. You have 2 nights in the funky capital city of Wellington, before crossing the Cook Strait to the South Island on the Interislander Ferry. A whale watching cruise in the wildlife mecca of Kaikoura is included before arriving into Christchurch. You then take a trip to Akaroa and swim with the world's smallest dolphin. Continuing south you reach Mt Cook National Park's towering mountains and enjoy an iceberg encounter on the Tasman Glacier Lake. In the ‘Adventure Capital’ of Queenstown you have time to explore the many activities on offer or simply enjoy the atmosphere and relax. The wild West Coast is next where rainforests meet glaciers and a helicopter trip here will be a highlight of your trip. The final leg returns you to Christchurch on board the TranzAlpine Scenic Train. 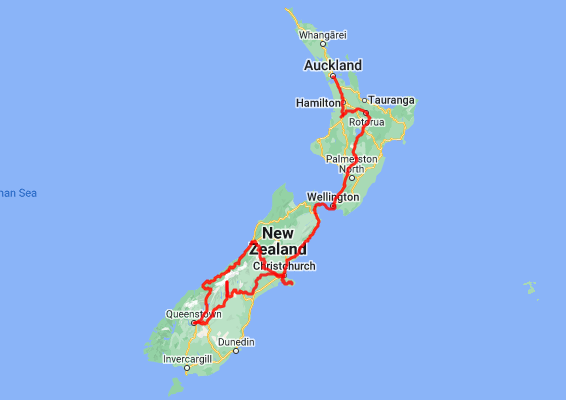 Today you'll drive south to Taihape via the township of Taupo, Home to New Zealand's largest lake. Continue on through the Rangipo Desert skirting the edges of the - Tongariro National Park - a world Heritage site. A little further pass through the military town of Waiouru before a short drive south brings you to the rural town of Taihape, your destination for the night. This is a family run wilderness experience with magnificent views of the Rangitikei River. The spacious home and garden allow guests private space to unwind. Whether it is by the pool on a hot summer’s day with a book or taking one of the wonderful walks in the valley or rafting and fishing on the river. 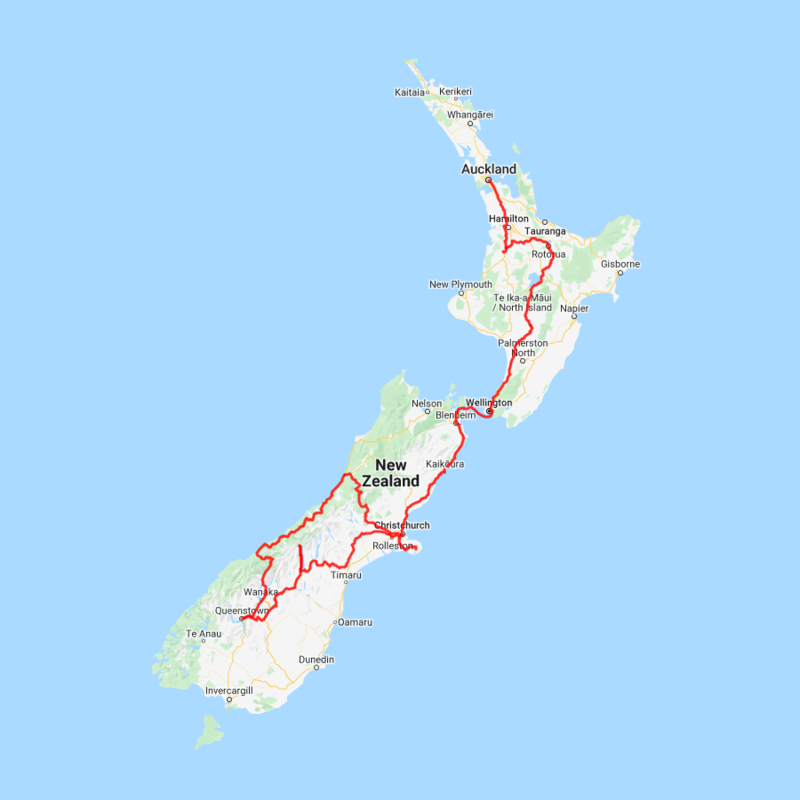 Heading south from Taihape, you will pass through the townships of Mangaweka and Bulls before arriving on the Kapiti Coast. The coastal seaside towns of Paraparaumu, Paekakariki and Plimmerton are worth a short detour before arriving into the capital city of Wellington. Plan to take most of the day for this drive. Wellington City is New Zealand's capital. It sits on a wonderful deep natural harbour and is surrounded by bush clad hills. The city centre itself is quite compact (only around 1 square kilometre) and so exploring on foot is relatively easy. From your city centre accommodation you can easily stroll the cafes and restaurants around Courtenay Place and if you arrive early enough New Zealand;s national museum, Te Papa, is also close by.